Barcelona, Spain: Children born after a frozen, thawed embryo has been replaced in the womb have higher birth weight than those born where fresh embryos were used, Danish scientists reported to the 24th annual conference of the European Society of Human Reproduction and Embryology today (Tuesday 8 July). The mothers had longer pregnancies, and the children did not show an increased risk of congenital malformations, said Dr. Anja Pinborg, from the Copenhagen University Hospital Rigshospitalet, Copenhagen, Denmark. Using frozen embryos in place of fresh ones during IVF procedures produces healthier babies with higher birth weight and lesser abnormalities, a new Danish study reports. The findings of the study presented at a meeting of the European Society of Human Reproduction and Embryology on Tuesday provided strong evidence stating that babies born from frozen embryos were just as healthy as those conceived naturally. The team of Danish researchers monitored medical records of nearly over 1,200 children born in Denmark between 1995 and 2006 using frozen embryos technique. Also monitored were nearly 18,000 children born from fresh embryos during the same period. Upon comparison of medical records between the two groups of infants born using different techniques, the babies in the frozen embryo group weighed about 200 grams more at time of birth and also had a lesser percentage of pre-term births as compared to the other group, the Danish researchers found. Also, frozen embryo technique did not increase the risk of congenital birth defects among infants. The congenital birth defects rate in the frozen embryo group was 7.1 per cent compared to 8.8 per cent where fresh embryos had been used. Moreover, fewer newborns required immediate medical support or admission to neonatal intensive care units, researchers found. "According to this study, which is currently the largest on frozen embryo replacement offspring, these children perform as ... offspring after fresh embryo transplant or even better," the researchers remarked. ‘The strongest embryos survived the freezing process’ researchers of the study said while explaining why frozen embryos produced better results than the ‘fresh’ ones. Freezing embryos, a well-established form of assisted conception treatment saves eggs for future use. 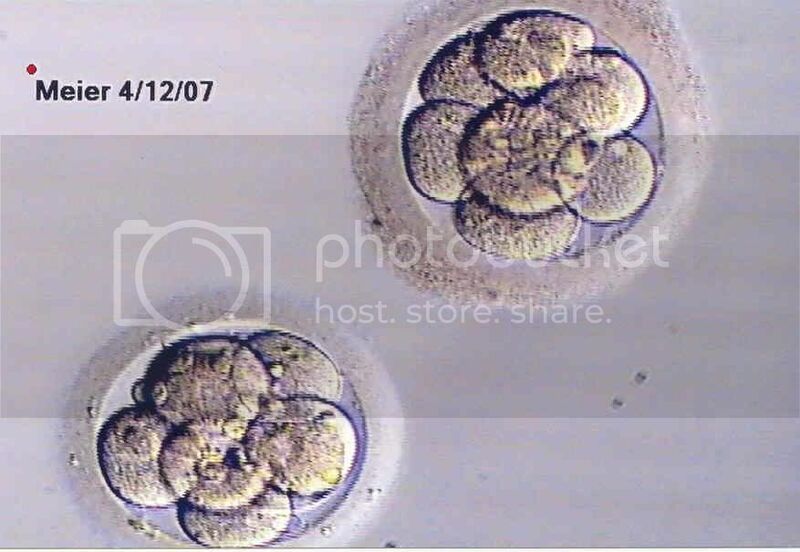 Embryos are stored in liquid nitrogen at a temperature of minus 196º C for up to five years. Stored at such low temperature they are in a state of suspended animation where all metabolic activity is halted.